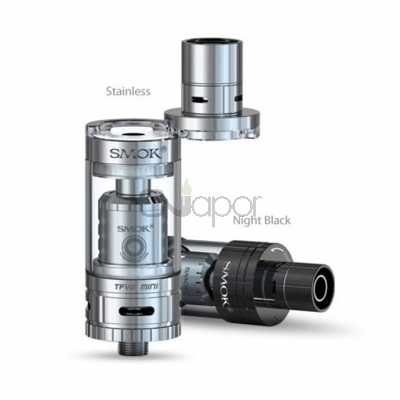 The Smok TFV4 Mini is the mini version of Smok TFV4 tank. 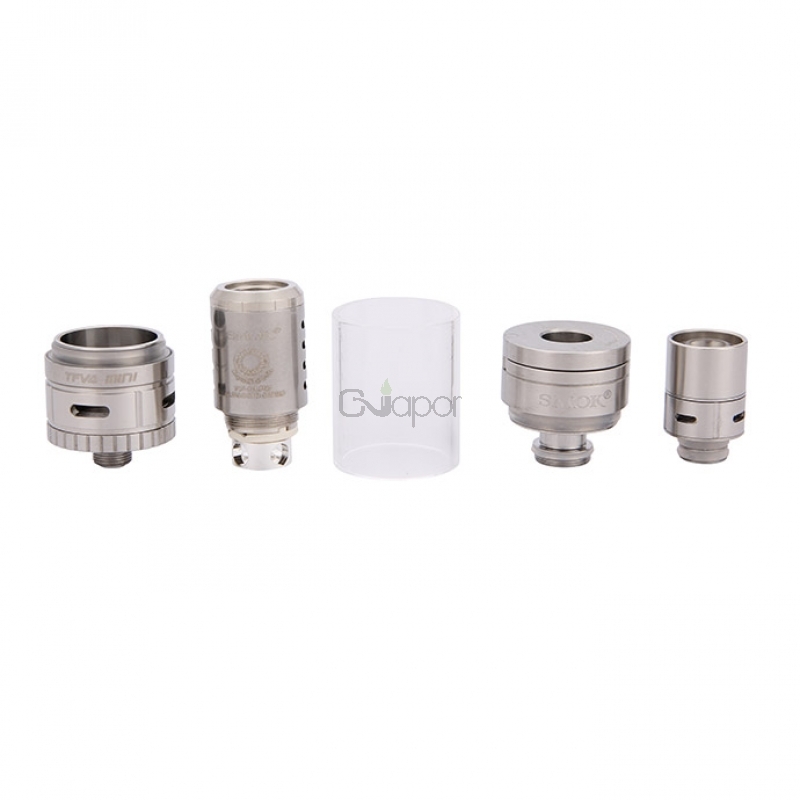 With 22 mm in diameter, this mini tank matches a wide range of mods. 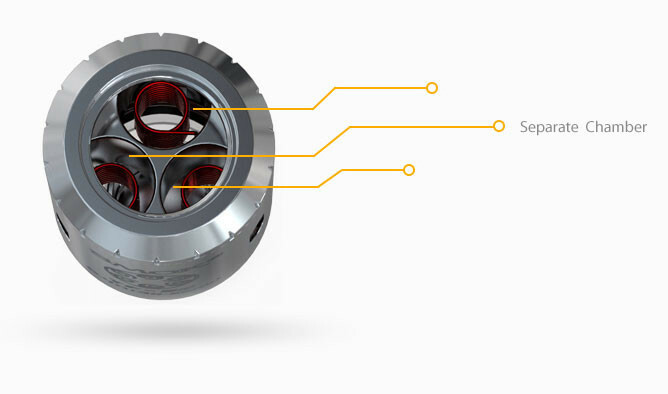 The top fill design that is accessed through the slidding top making filling the tank easier. 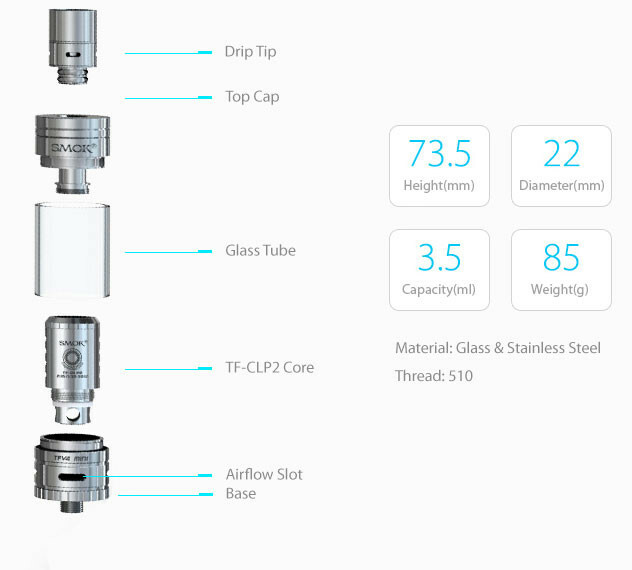 The double-layered drip tip has also been improved on the inner layer of glass to avoid scalding. 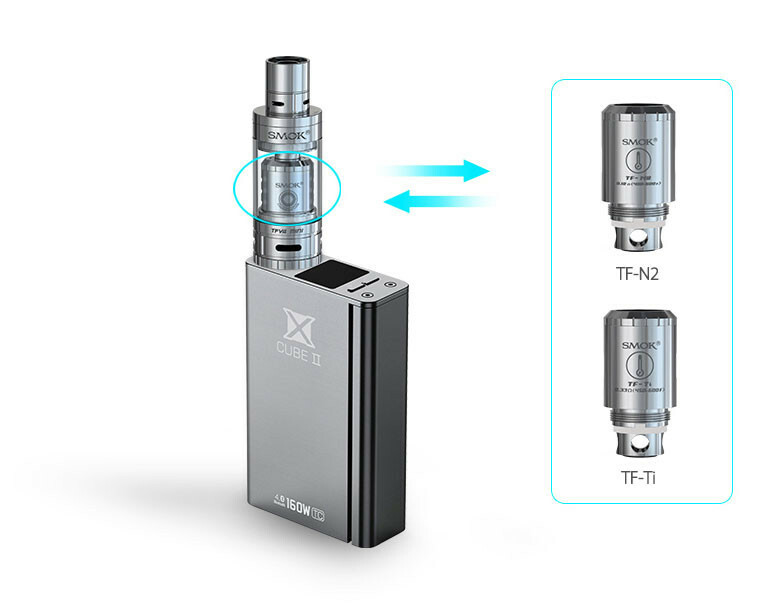 Featuring eight brand new cores: TF-CLP2, TF-S6, TF-RCA, TF-Ti, TF-N2, TF-N2 Air Core, TF-T2, and TF-T2 Air Core, it’s designed to bring you unexpected vaping experience. Very good build quality, good flavor. 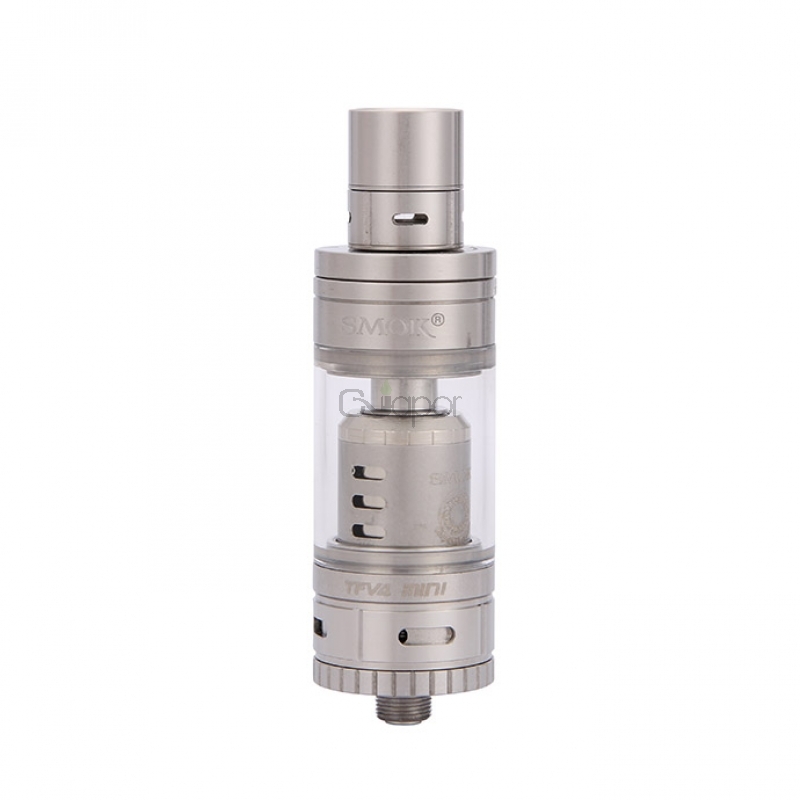 Very good and compact RTA (can be used for d2l and also for m2l).